You know I love letting you in on a good find, right? When I discover something that works, I can’t help but share a bit of unsolicited advice. My latest breakthrough? Sugaring. And it’s sooo much better than waxing (more on that in a bit). First - what is it? Sugaring is the all natural, ancient Egyptian method of removing hair anywhere on the body. The paste is made from ingredients you can actually pronounce: sugar, water and citric acid. It’s thick and a surprisingly pretty, amber color. For hair removal, the paste is slightly warmed, layered onto the skin and flicked off by hand. That clean ingredient list that is more gentle on your skin - no resins, no dyes, no fragrance. You can literally eat the paste. The paste only adheres to your hair and dead skin (hello exfoliation! ), so it doesn’t pull at skin that you know, wants to be kept intact. There’s less trash because sugaring doesn’t need those wooden sticks for application or paper strips for removal. Hands are the main tools in this situation. Sugaring extracts the hair in the direction of growth so it hurts less and you get less ingrowns. Sugaring pulls the Whole. Darn. Hair. Up. All of it. You know how satisfying that is? Plus it makes for slower and thinner regrowth. Intriguing, right? I couldn’t believe I didn’t know sugaring existed and that there weren’t any spas around me offering it. So a few weeks ago when Stephanie asked if I’d like to be a hair ‘model’ for one of the training sessions she was doing at Chicago green beauty spa and boutique Lena Rose, I jumped at the chance. 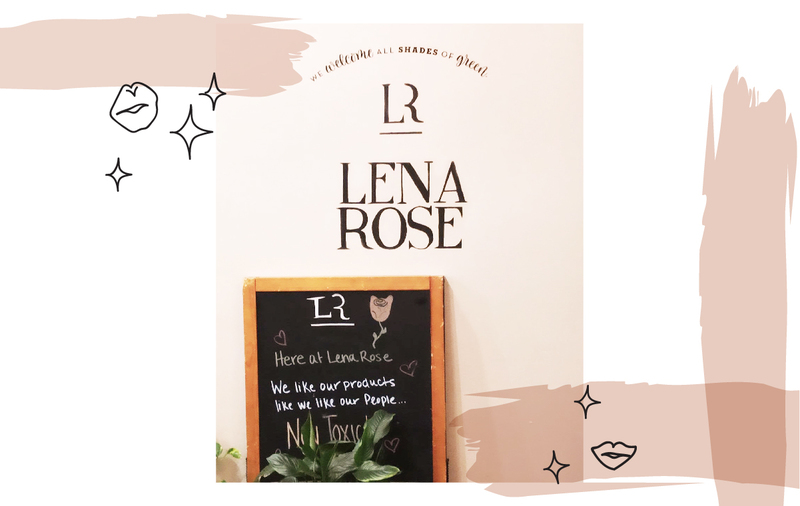 A little side note about Lena Rose: the girls were so sweet and the space was cozy and relaxing. They literally lit palo santo shortly before I arrived so you know I was feeling right at home. In addition to natural spa services (think 7-free, skin safe no-chip manis and farm to table facials), they carry products from some of the best natural brands. If you’re in Chicago, I highly recommend you check them out. The process is very similar to waxing. After cleansing the skin (I got my underarms done), the sugarista in training applied a few layers of the paste which felt like honey but didn’t run or drip all over. Then flick of the wrist and buh-bye hair. That process was repeated a few more times and at different angles before moving on to the other side. If you want to see a little behind the scenes, check out my sugaring Insta post. The level of discomfort was the same as waxing for me - not unbearable, but also not something I want to do every day. Also like waxing, there are a few straggling hairs left behind that can be plucked for 100% removal. I know you’re wondering about the results, and I have to report that I’m thoroughly impressed. I shave my underarms so the hair is very coarse (like little daggers, for real) and it obviously doesn’t leave my skin smooth at all. Not so with sugaring. I don’t think they’ve been this soft and hairless since birth. And now a week and a half later, the hair is slowly growing back but very thin and wispy and my skin has zero irritation. So yeah...can I get my entire body sugared?? Because I’m hooked. It was such a good experience and I’ve been very happy with the results. Has anyone else been sugared? Or interested in trying it out? I’d love to hear your experience. And if you’re local, go to Lena Rose to get your sugar on. WTH Is CBD And Should I Be Into It?